Essentially two horn loaded 12-inch passive radiators, the PUMP-12 adds diverse implementations possibilities to our existing lineup of SLAPS passive drivers. 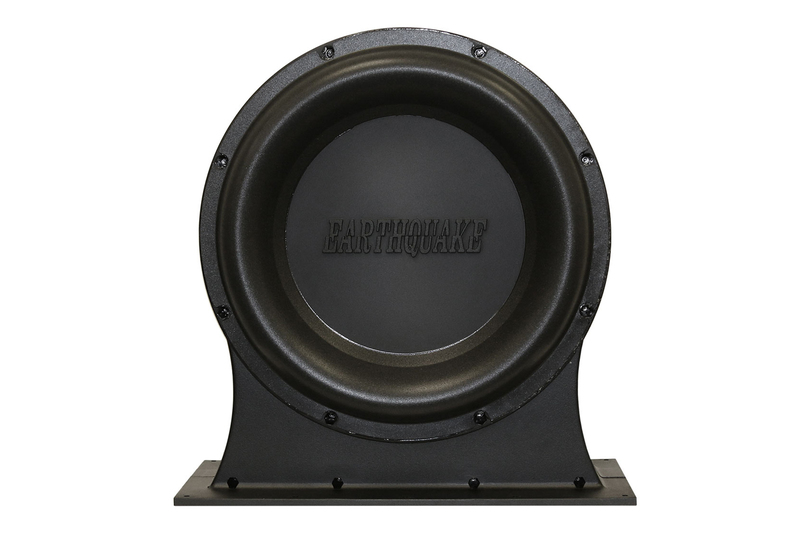 Earthquake Passive Radiators provide additional bass, without additional amplifier power or enclosure volume. 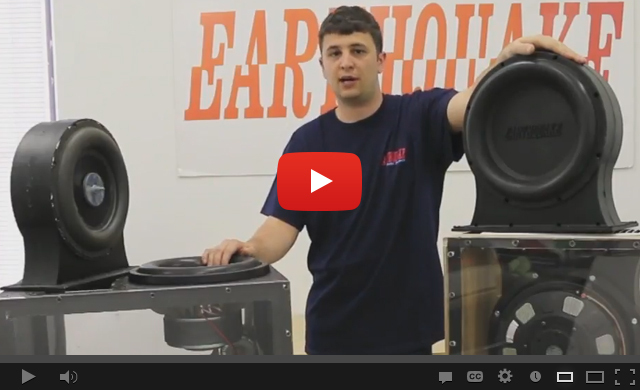 Designed to perfectly complement all good quality long-throw woofers on the market. SLAPS/Pump-12 add up to +6dB of bass compared to regular sealed and ported enclosures. They can be integrated into virtually any sub/ cabinet combination. When using a sealed enclosure, there is one peak of resonant frequency at which the amplifier draws the least current. The graphs below illustrate the difference between a typical sealed box enclosure and the PUMPed box enclosure. The Graph shows the green area is 30% less than the yellow area. This means the amplifier current draw of the PUMPed enclosure is 30% less than that of the regular sealed box enclosure. With less current draw, the speaker’s impedance increases and therefore, SPL also increases.In summary, the PUMP-12 increases the subwoofer’s SPL by 6dB without the need to draw more amplifier current. When selecting which active driver(s) to use with the PUMP-12, it is important to make sure that the combined piston area of the active driver(s) does not exceed that of the PUMP-12 (226 sq.in.). The PUMP-12 requires 9-in x 14-in x 14-in of installation space. 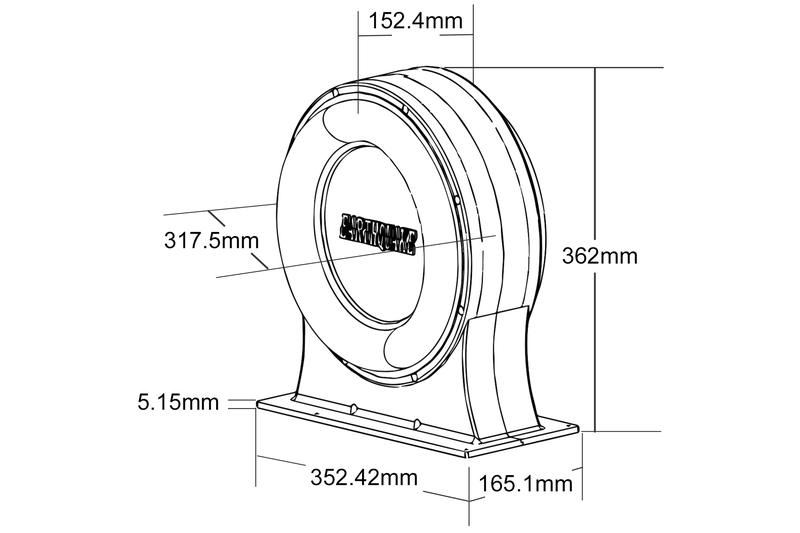 Take the recommended sealed enclosure dimensions of the chosen active driver and add the 9-in x 14-in x 14-in to it. We recommend sanding the cutout hole and pushing the module’s dust caps inwards to allows the PUMP-12 to go through the cutout hole without damaging the surrounds. Pump-12 enables the transfer of high amplifier power into low frequency output. Since the active driver does not have to fight against increasing pneumatic pressure in a closed cabinet or over-excursion close to a port tuning frequency. In a closed cabinet design the pneumatic loading of the woofer increases as a function of its travel, this causes compression. Pump technology possesses none of these limitations.